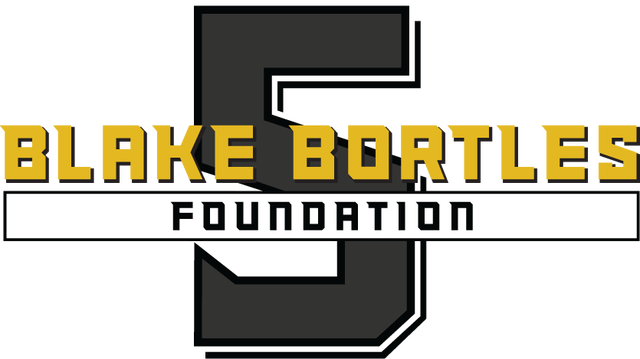 We are proud to partner with The Blake Bortles Foundation. 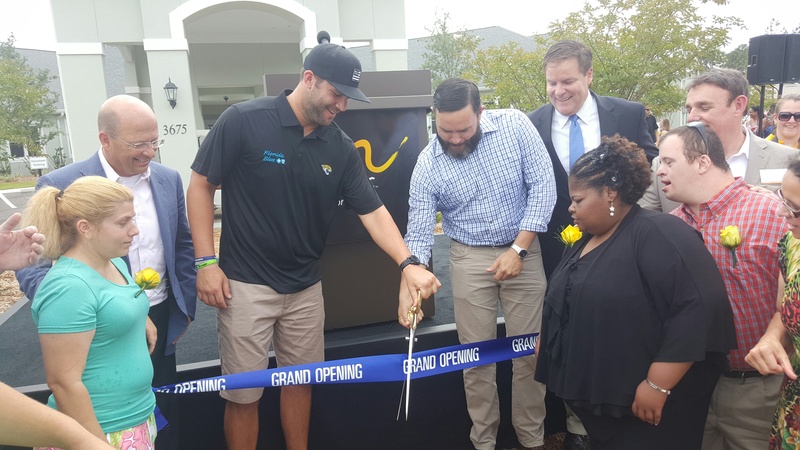 Blake Bortles, quarterback of the Jacksonville Jaguars, who was recently in the Super Bowl playoffs, established The Blake Bortles Foundation in 2016. The foundation was created to give back to the Jacksonville and Oviedo communities. Since then, the Foundation has partnered with The Arc Jacksonville to support The Arc Jacksonville Village, provide scholarships for the Summer LIFE Experience program, and broaden our reach in the community. In 2016, Blake spoke at The Village grand opening and presented a check for $40,000. He has provided many opportunities for our program participants to meet him. Residents and program participants have created videos and even a rap video to cheer him on during the season. During his junior year of high school, Blake volunteered with an organization that pairs athletes with students with special needs to play football. 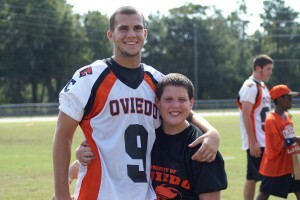 It was there that Blake met CJ, a freshman who loved sports – especially football – and had autism. Blake and CJ’s friendship developed both on and off the field, playing football, watching old games and shooting hoops. Their friendship has continued over the years, through Blake attending college and throughout his NFL career. It was through CJ that Blake was first connected to The Arc Jacksonville. CJ participated in the Summer LIFE Experience program. For four weeks, CJ lived with roommates in a four bedroom/four-bathroom apartment, learning to cook, clean, manage his money and much more. CJ loved his experience, which inspired Blake to become more involved with The Arc. Blake and CJ were photographed and filmed for a PSA to help share their story and tell others about The Arc Jacksonville. The PSA was shown on local media stations and indoors at the stadium during Jaguars games. Their story and photos have been highlighted throughout the “What’s Next?” campaign materials and featured for the launch of The Arc Jacksonville’s annual giving campaign. The foundation hosts a celebrity golf weekend each spring comprised of a celebrity golf tournament and concert series. Donors, sponsors and volunteers all come together to raise awareness and funding for local organizations. Ensuring respect and support for the local public safety members, The Foundation also contributes to organizations such as The Jacksonville Police Athletic League. Read about our other Philanthropic Partners.